This is a huge part of British history and I’m completely amazed it hasn’t been covered in film before. It is incredibly important, so powerful and still very relevant so I urge everyone to watch Suffragette. 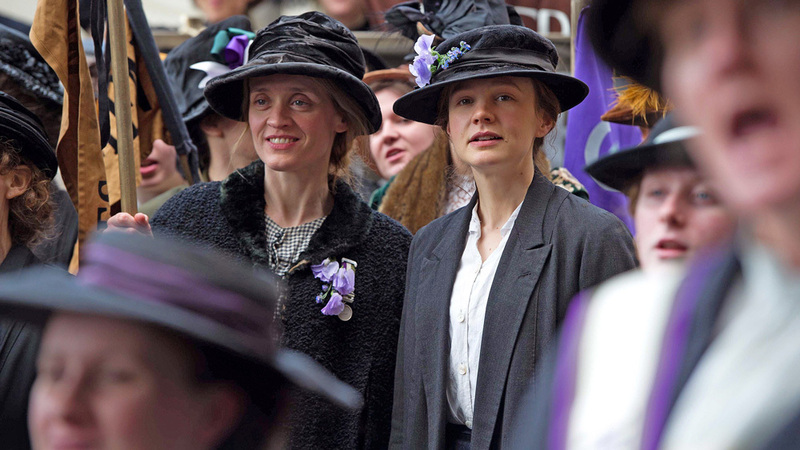 It is 1912 and Carey Mulligan stars as the fictional Maud Watts, who is persuaded to join the Suffragette movement by her co-worker Violet (Anne-Marie Duff) to fight against the unfair pay, treatment and working conditions inflicted upon women in their laundry workhouse. They are lead by Edith Ellyn (portrayed by Helena Bonham Carter) who is, of course, working off instructions by Emmeline Pankhurst (Meryl Streep) to become more rebellious and demonstrative as their peaceful protests about women’s right to vote have proven ineffective. The film follows the community’s treatment of Maud, the police/justice system’s handling of the Suffragettes and their acts of protest and subsequent arrests. I think Mulligan is a superb actress and she has such a kind, sweet face that you just want to root for her in every film she’s in. 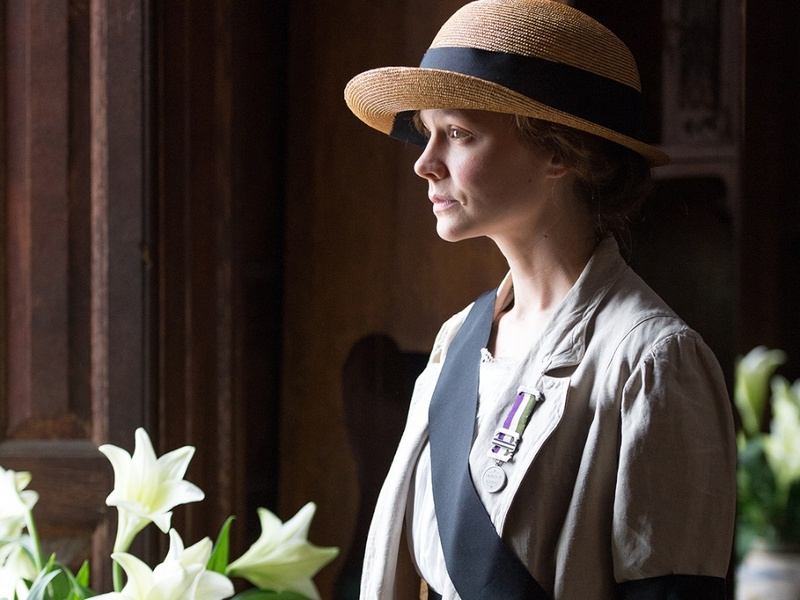 She is the audience’s window into the Suffragette movement and I like that they focussed the film on an ordinary, working-class activist rather Pankhurst herself because you get to see the true meaning of sacrifice on the ground. I learned about the Suffragettes at school and some of their protests, but I had no idea what they gave up and the level of shame they brought on their families (Maud is married and has a son with Sonny, played by Ben Whishaw). You put yourself in their shoes and it makes you realise how brave these women were to continue without any support from their loved ones. I doubt I could do what they did. 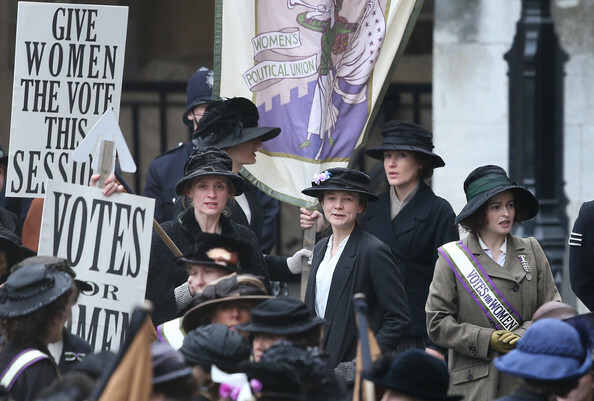 I was surprised how little Pankhurst was in it though – I really believed Streep had a larger part but she is barely there. I would have thought she would have been prominent considering she lead the movement but oh well. It is actually more poignant and powerful this way. I was also shocked when it ended because I assumed we would be following the story until they reached voting victory – it was a long way off in 1928 (complete women’s vote in the UK) – but it stops in 1913 after the death of Emily Davison at Epsom Derby (based on fact). So this is more of a snapshot in the life of a Suffragette than a biopic of the whole period, which I was not expecting. But my surprise at the ending was because I wanted to see more. I was fascinated and wanted to learn everything I could and I hope this teaches this generation about the Suffragettes and is used in schools because it is so educational, hard-hitting and upsetting yet inspiring and relatable all at the same time.